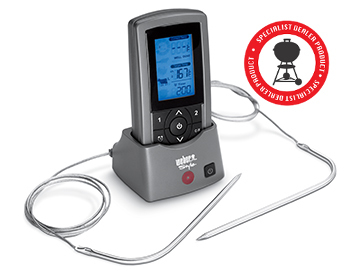 Roast meat lovers should all have a Dual Probe Remote Digital Meat Thermometer. It beeps to let you know when your roast is cooked to your liking. It doesn’t even need to be near the barbecue; you can carry it around on your belt or leave it somewhere handy. At licensed Weber Specialist Dealers only.